Who doesn't love a Piña Colada? The creamy combination of rum, pineapple and coconut is definitely a personal favorite if done properly. However, sometimes you might want something similar but a little bit more stiff. 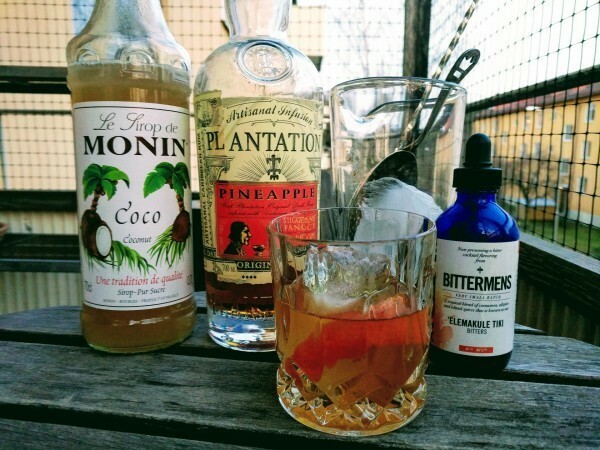 Enter the Piña Colada Old Fashioned, a truly delicious cocktail with the same flavor profile but way more saturated. Stir all ingredients with ice until desired dilution, then strain into an ice-filled Double Old Fashioned-glass and garnish with an orange zest after squeezing the oils into the drink. ... and there you have it – Okole maluna (or cheers)! Cocktail and spirits aficionado from Stockholm, Sweden. Trader Magnus is my alter ego and contribution to the industry. Cocktail mixology and archaeology, prohibition, tiki and beyond. Recipes from yore, spirits reviews and cocktail bar reviews from around the world.